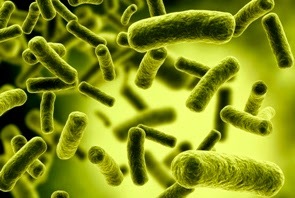 Germany struggles to identify the source of a deadly E. coli outbreak that has killed 16 people and left about 470 seriously ill.
More than 1,500 people in nine nations - though nearly all in Germany - have now been infected by enterohaemorrhagic E.coli (EHEC), which can cause the deadly haemolytic-uraemic syndrome (HUS). About half of the haemolytic-uraemic syndrome, HUS patients in Hamburg clinics have suffered neural disorders three to five days after falling ill, such as epileptic fits and slurred speech, according to the German newspaper, Die Welt. Hundreds of tests have been carried out by laboratories across Germany In addition to Germany, cases of EHEC have also been reported in eight other European countries - Austria, Denmark, the Netherlands, Norway, Spain, Sweden, Switzerland and the UK, the WHO said. All but two of those infected either live in Germany or recently travelled to Germany.